Volunteers are GREATLY needed to help fill Go Play Save orders. 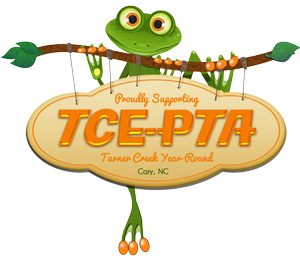 If you can spare an hour, please email Elizabeth Dunn.If you are interested in being a part of the planning committee for Frogapalooza, Turner Creek's cultural festival, please send an email to Jennifer Springer at Frogapalooza@TCE-PTA.org. The Boosterthon Committee is looking for a few great volunteers to help kick off our Fun Run, coming up in September. Contact Laurie Singh if you can spare a couple of hours.